Cory Kidd PhD Founder and CEO Catalia Health has been exploring the use of robots and artificial intelligence for improving healthcare for over 20 years. He and his team have taken on the challenge of figuring out why people don't stay with a drug regimen for chronic conditions. 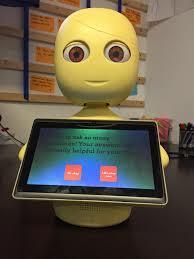 Using the robot Mabu, they are able to personalize the interaction with patients to encourage healthier habits and gather data about barriers to adherence.